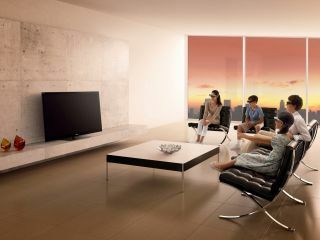 Sony has announced its latest range of Blu-ray players for 2011, along with the new home cinema systems. The latest Blu-ray players from Sony are the BDP-S380, BDP-S480 and BDP-S580 and there are also four new home cinemas systems – BDV-E280, BDV-E380, BDV-E880 and BDV-E780W. "New Blu-ray Disc players and Home Cinema systems from Sony will redefine the way you experience home entertainment," Sony says. "With its capability to stream music, movies and online videos from all kinds of places, the Blu-ray player is fast becoming the centrepiece of your home entertainment set-up," adds the company's release. "In 2011, enjoy even more of the best of the web with channels and services being added to Bravia Internet Video all the time, making it even easier to watch what you want, whenever you want. "You can browse popular video sharing sites such as YouTube or discover and enjoy TV programmes on BBC iPlayer, watch thousands of movies via LoveFilm and access to 24-hour breaking news from Sky News through its dedicated connected TV application – all from the comfort of your sofa, with no need to connect a laptop or PC." The BPD-580 brings 3D Blu-ray support and built in Wi-Fi connectivity, the BDP-480 also offers 3D and is internet ready but doesn't have built-in Wi-Fi and the BDP-S380 loses the 3D but can be connected to the internet. From the home cinema systems, the BDV-E880 brings 3D surround sound via two tallboy speakers and has two HDMI inputs, the E380 has 3D surround sound but no tallboys and the E280 does not offer 3D sound. The BDV E780W has desktop speakers, offers 3D sound and is internet ready. "New Blu-ray Disc players for 2011 give you an even greater choice of home entertainment," says James Forrester, Category Marketing Manager, Sony UK Ltd. "Blu-ray Disc players are fast becoming an essential home media hub – bringing the best of the web to your TV screen and streaming music and movies from all over your home. "And with the superior sound from our new Home Cinema Systems, now you can truly bring music, sports and 3D movies to life in your living room."